Who says the religious do not know how to party? They’ve never gotten their hands on the costumes that we have. 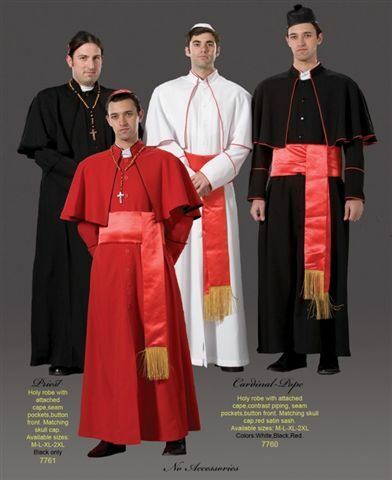 We’ve got costumes that will make you look like the priest, rabbi, reverend, cardinal, pope, bishop, monk. These costumes are perfect for stage presentations in school. You can look as simple as Mother Teresa and have a heart of gold for everyone. You can also look like Jesus in the nativity play if you want. For the remake of the bible stories in school or at church, you can look like Moses, Abraham or a nun and a habit with all the right accessories. 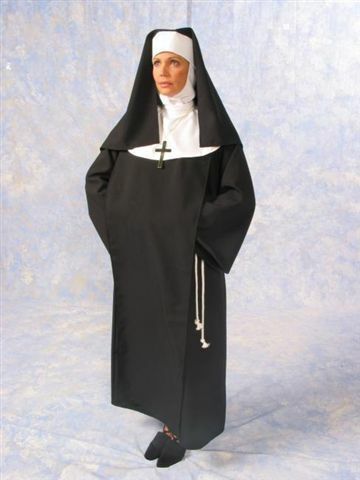 For religious costumes, we’ve got them all for you.